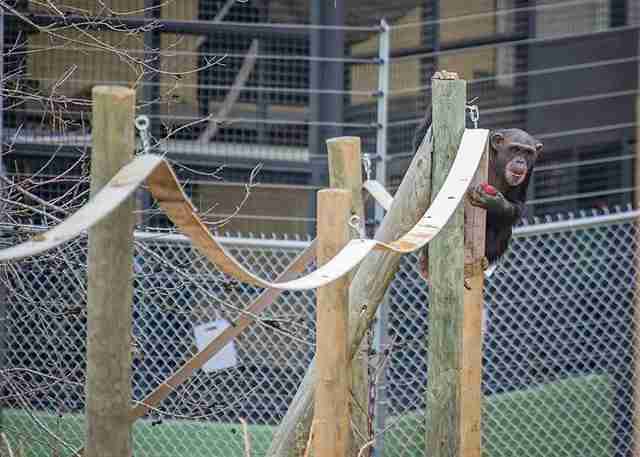 Bo the chimpanzee had never been outside before. He was 13 years old, and he’d spent most of his life inside of a cage at a research laboratory. In May, everything changed for Bo and 30 other chimpanzees who’d been used in the labs at New Iberia Research Center in Louisiana — they were moved to a sanctuary run by Project Chimps in Blue Ridge, Georgia, where they’d get to spend their remaining years in retirement. The sanctuary team had built the chimps special villas, where they’d lived for the last several months — but the grand plan was to give them access to a huge, 6-acre outdoor habitat. After a lot of hard work, the outdoor habitat was finally ready this month. 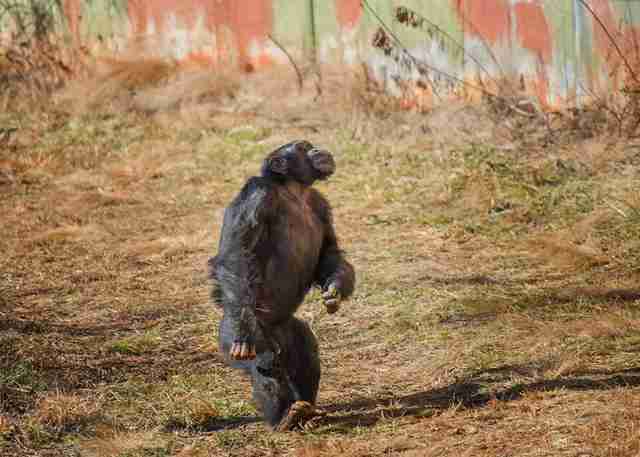 When the villa door magically opened on Bo’s villa, which he shared with five other chimps, and exposed a vast field with grass and trees, Bo didn’t know what to do. He stood at the doorway, hesitating. 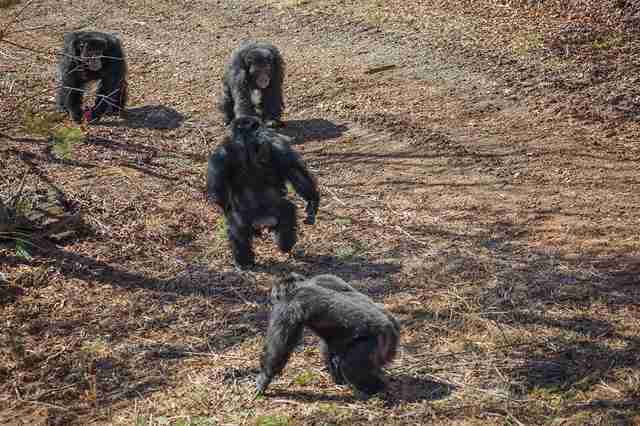 Eventually, another chimpanzee named Lance pushed Bo aside and leapt out himself. Once outside, Lance spun around, looking both curious and bewildered. 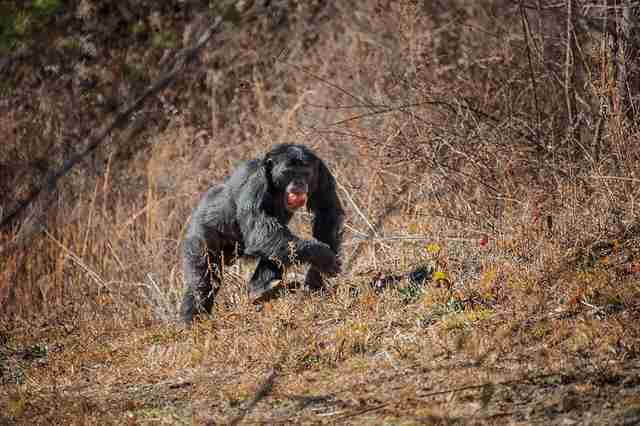 The other male chimps followed Lance’s lead — they each stepped outside, feeling grass under their feet for the first time, and gazing up at the trees. Some of the males gave each other reassuring hugs as they explored. And the longer they spent outside, the braver they got. “They were galloping across fields, and they’ve never had space to move at that speed before and go those distances,” Crumpacker said. 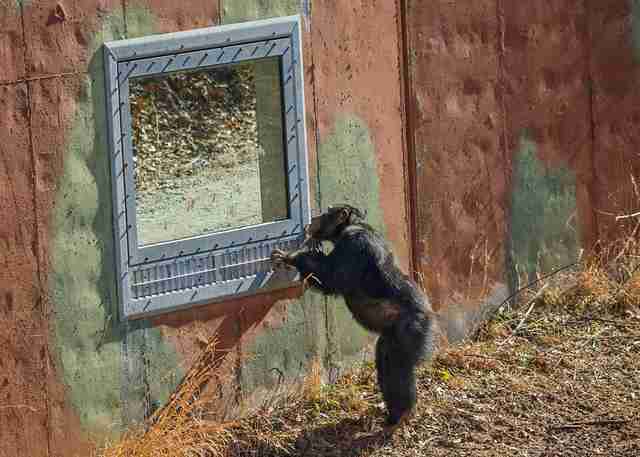 Earlier that day, the team had also opened up the outdoors to a group of nine females. “They kind of wandered out and wandered back in, going from the unknown back to the familiar,” Crumpacker said. One female — a 13-year-old named Emma — seemed determined to get some alone time. At first, she stayed inside the villa while the others went out. When they returned, she dashed out on her own. The sanctuary team still needs to give the 16 other chimps access to the outdoors, but bad weather has temporarily delayed them. 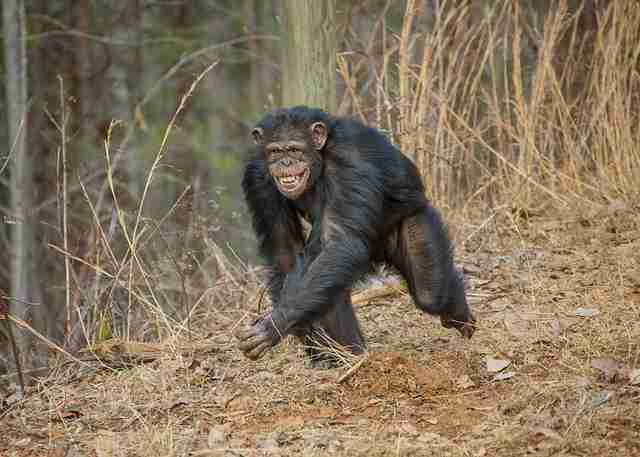 Prior to arriving at the sanctuary, the chimps likely didn’t have much independence to do what they wanted. While the rescue team doesn’t exactly know what their former lives were like — or even what kinds of experiments they were used for — chimps rarely get to express all their normal behaviors in lab setting. In 2015, the U.S. 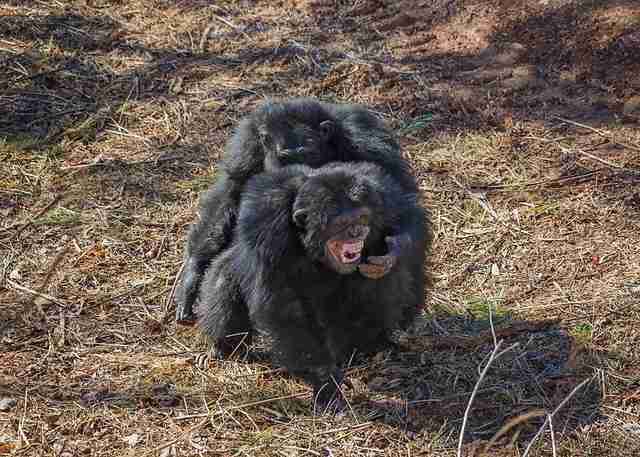 Fish and Wildlife Service (USFWS) declared that all chimps in the U.S. should be classified as endangered under the Endangered Species Act (ESA), which essentially gave lab chimps the same protection as wild chimps. This move meant that laboratories had to stop using chimps for research, and retire them to sanctuaries. 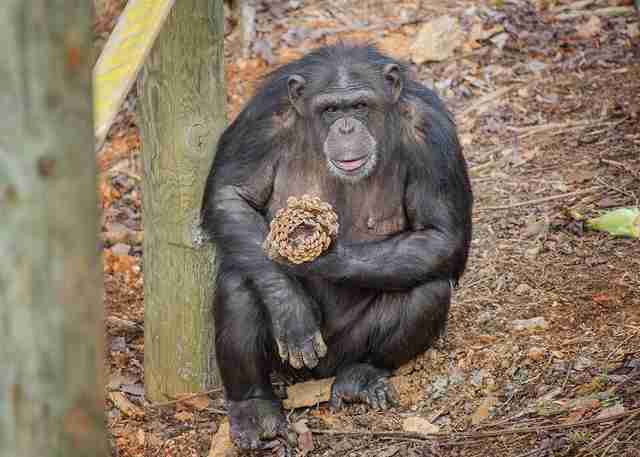 So far, Project Chimps has been able to retire and rehome 31 chimps to the sanctuary, and they’re determined to get the 180 chimps who still remain at the New Iberia lab. While the team works to make that happen, they’re doing everything they can help Bo, Lance, Emma and the others feel comfortable with their newfound freedom. “You know as a human that this is a positive experience and that it will be wonderful, but you can also appreciate from their perspective that this is really weird and scary,” Crumpacker said. “But you hope that those moments are short-lived, and that they understand that it’s fantastic." 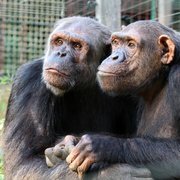 To help retire more lab chimps and bring them to the sanctuary, you can make a donation to Project Chimps.